Through thousands of years of use, humans have developed the best ways to smoke weed. Here are the most tried and true methods. Think You Know The Best Ways To Smoke Weed? Everyone has their own routine. 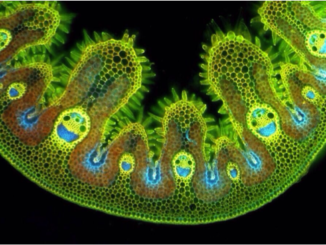 Whether it is rolled, packed, vaped, or eaten, good vibes are sure to come your way. As everyone has different stoner slang, the variety of consumption methods is one of the things that makes using cannabis so enjoyable. Read Below to find out more about the 10 Best Ways to Smoke Weed! Not everyone can roll the best joints, but having that special friend who can roll the perfect doobie is a must. Joints are great for many different occasions. You could roll skinny pinners for a stealthy walk down the street. Fat doobies are also great for sharing with friends. For their convenience and social emphasis, joints will forever remain one of the best ways to smoke weed. While some people in Europe may call a joint a spliff, typically a spliff in the US adds tobacco into the mix. One downside of rolling joints is that they are a bit inefficient, as a lot of the flower will burn. Some people like to roll up little crutches or filters to put at the end of their joints. There are many great rolling paper brands. Raw is certainly the most popular, with an extensive line of products to get you rolling your perfect cone. Another novel brand is Randy’s, as their papers have small metal tips to help hold the jay as it is getting close to the end. Zig-Zag is another classic rolling paper brand. Bambu makes great thin rolling papers. Elements uses ultra-thin rice paper, which burns quite nicely. One of the best things about smoking blunts is the sense of community. Blunts are best shared with company, and the smoking circle always has communal laws. Everyone knows the etiquette of puff, puff, pass. Also, don’t let the blunt start canoeing! 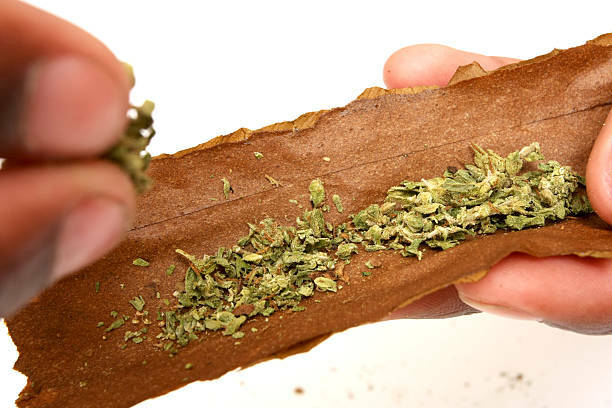 Blunts started as people buying cheap cigars, unrolling or cutting them open, throwing the tobacco away, and rolling it back up with freshly ground marijuana. I cannot think of any other industry where someone would buy a product to throw out the main ingredient. Imagine going to McDonalds, ordering a Big Mac, and replacing the patties with a steak. It just goes to show how much better marijuana is than tobacco. Classic brands for blunts include Dutch Masters, Phillies, White Owl, Game, Swisher Sweets, and Backwoods. Seriously though, does anyone still smoke the tobacco in these things? Nowadays, there are also wraps that are for sale, which do not include the tobacco. There is just about every flavor you can think of at this point. XXL Blunt Wraps makes a lot of different wraps that are great. It goes without saying that taking massive bong hits can give a great high. Rather than taking small puffs from a joint or blunt, many prefer to take two or three bong rips. Filling up your whole lungs at once, bongs can give an invigorating rush that may be difficult to get from smoking a joint or pipe. There’s a bong that matches just about everyone’s personality. Some might want a big straight-shooter that will get the job done. Others may prefer ornate and colorful glass with an artistic design. 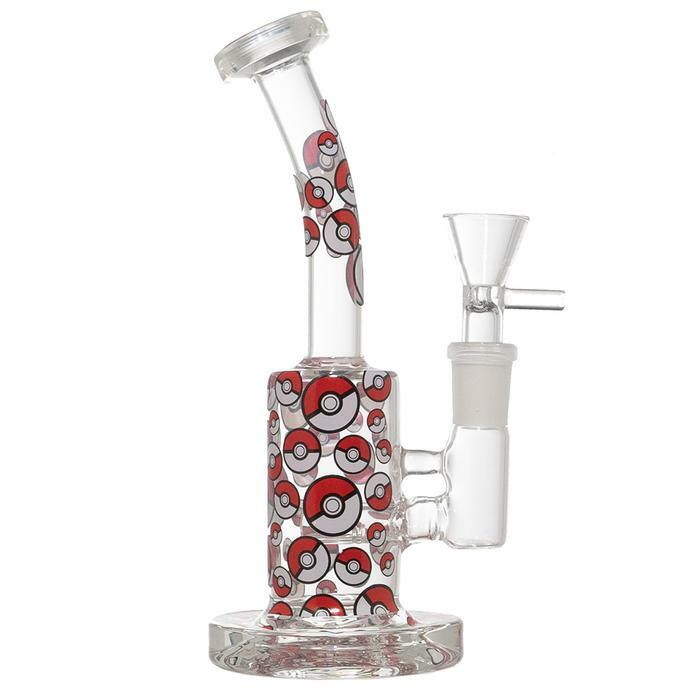 Then there are the bongs decked out with novelties such as ash catchers and percolators. The price of a bong can be all over the place. While some high end smoke shops will sell them for hundreds or over a thousand dollars, cheaper ones that are perfectly fine can also be found. 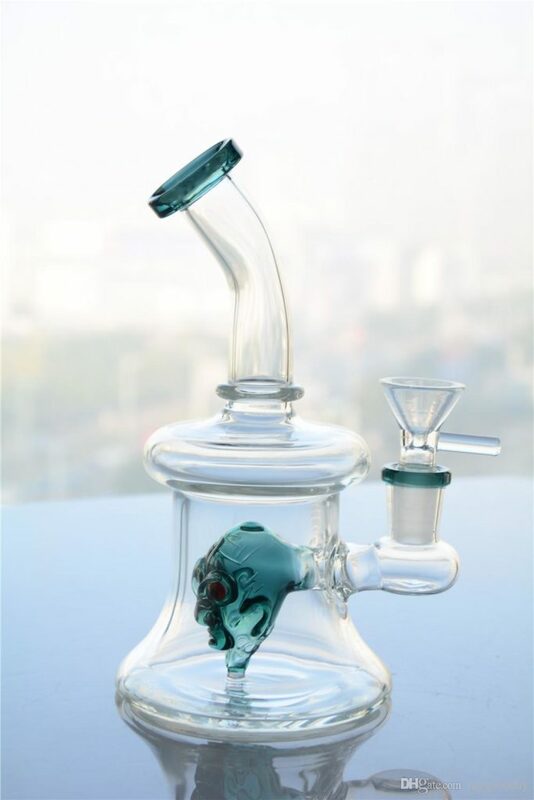 Call me stingy, but I usually try to find bongs that are less than $40. Pipes, pieces, or bowls are a great way to smoke flower. Great for any occasion, pipes are convenient, portable, and often very colorful. Coming in many different shapes and sizes, buying new glass pipes is always a fun decision. It is also worth mentioning bubblers, which are essentially little mini bongs the size of a pipe. Bubblers allow for some water filtration, which does make the hit smoother. Pipes are a bit more portable though, since they do not have dirty bong water that could spill out. Steamrollers and glass one hitters are also great portable options. A steamroller is similar to a pipe, except the tube is more straight, and the carb will be at the end of the tube, rather than off to the side. Since this hole is usually bigger on a steamroller, sometimes it can be easier to get thick milky hits from a steamroller. Vaporizers heat up the cannabis in a little mini oven, rather than completely burning it with flower. This evaporates the cannabinoids and some of the terpenes, giving a clean high. Larger plug in the wall vaporizers such as the Volcano have been around for a while. 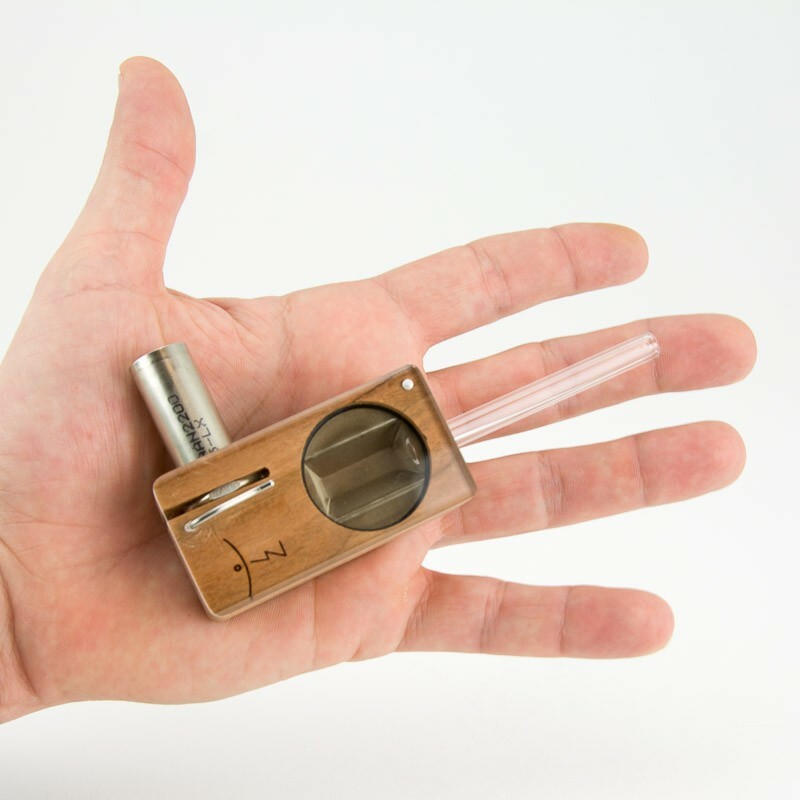 Portable vapes started coming onto the scene, including the very simple Magic Flight Box. With e-cigs on the rise, more and more vaping options are coming out. There are tons of different types of vape pens, which can use oil or wax concentrates. These stealthy devices allow for portable and discreet vaping. Dabbing is the new way to get extremely high. Imagine taking the potency of 3 bong hits all at once, and condensing into half the smoke of one hit. Concentrates such as wax, shatter, budder, or crumble are used, which can give a product with up to 90% THC! Since concentrates only extract the cannabinoids and terpenes that give you the psychoactive high and medicinal effects, no plant matter is smoked. While many are worried that concentrates are more dangerous because of their potency, they are actually healthier if done properly, since no unwanted plant matter is smoked. Be sure to check out our article on the best temperatures for dabbing. This will help you get the most out of your cannabis. While I used to get excited about the rush of smoking a bong, the feeling is not quite the same. Now, I look to dabbing for that rush that I used to feel from bong hits. Given that there is no combustion involved in edibles, you might ask yourself how are they on a list called “the best ways to smoke weed”? 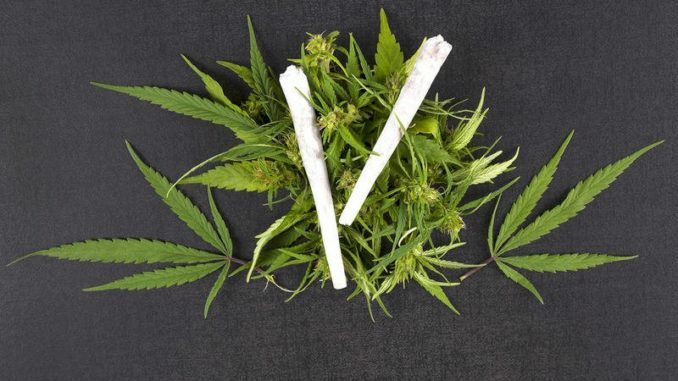 “Smoking Weed” has become synonymous with ingesting marijuana, so we’re going to allow is! Edibles are a great and tasty way to enjoy cannabis for an extended period of time. Many people who do not like to smoke will be happy with this option. Medical patients looking for multi-hour relief can also rejoice. Edibles can be quite strong and do last a while, so make sure you figure out what is a proper dosage for your needs. Many edibles for sale will put multiple doses into 1 brownie, so take a look at the wrapper to see how many mg of THC the edible contains. Tinctures are yet another way to take cannabis as medicine. Most tinctures are an alcohol infused with cannabis extract. While not too many people considered to be “stoners” would use tinctures, they are more popular for older people who are looking for medicinal relief. Trinctures definitely deserve a spot on the best ways to smoke weed list, even if there is no smoking involved. Tinctures are typically taken orally by applying a drop under the tongue. Some tinctures may use olive oil to extract the cannabinoids. There are also cream tinctures that can be applied to the body for arthritis and muscle relief. 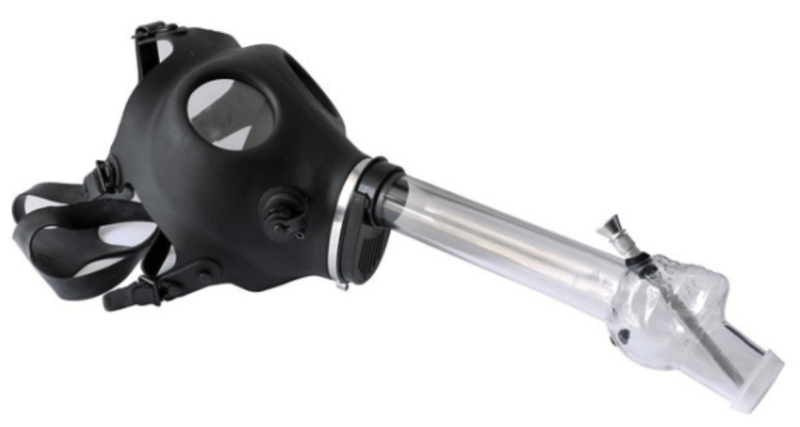 Gas masks are certainty a hilarious and novel way to smoke every once and a while with friends. Keep in mind that will make you really smell like weed after, since the smoke is kept so closely to your face. You just broke your glass bong, and have a leftover bowl for the bong, but no piece to smoke out of. What to do?! Making a gravity bong is an easy way to put that piece to use. It’s the ultimate lesson in dorm room physics — gravity bongs leverage the decreasing water levels as a way to create suction– instead of going straight into your lungs, the smoke gets stored in a reservoir for you consume at your leisure. Depending on the size of the gravity bong, you can clear a whole bowl’s worth in one hit. The water does not actually filter the smoke at all, so the hits can be a bit harsh. You don’t even need a store-bought bowl to make a gravity bong. Just lining some aluminum foil over the tope hole and poking tiny holes will suffice as a “bowl” for your herb. Maybe you always stick to glass and haven’t rolled a joint in a while. Hopefully, this list provided a bit of inspiration to try something new. Interested in juicing cannabis? Check out our blog for a 3 day cannabis juice cleanse. Do you have anything to add? If you had to make your own “Top 10 Best Ways To Smoke Weed”, what would make the cut?! Tell us in the comments below.